One of the common features of all gingival diseases is gingival enlargement, which can be caused by gingival inflammation, fibrous overgrowth, or combination of both. The pathogenesis of gingival enlargement is associated with multiple factors, including inflammation, specific drug use (e.g., cyclosporine A, phenytoin, and nifedipine), or it may occur as a manifestation associated with several blood dyscrasias, such as leukemia, thrombocytopenia, or thrombocytopathy. There are several adverse consequences of gingival enlargements such as functional disturbances such as difficulty in plaque control, mastication, altered speech, and esthetic and psychological problems. Inflammatory enlargement is the most common form of all the enlargement of the gingival tissues. It can be localized or generalized or can be exaggerated by hormonal effects, as seen in puberty or pregnancy, or may be complicated by certain systemic medications. Although many cases of gingival enlargement are listed in literature, there is dearth about its presentation in severely generalized form, especially in systemically healthy patients and that too treated with only nonsurgical approach which is extremely unusual. This article presents an unusual generalized form of plaque-induced inflammatory gingival enlargement which responded marvelously to nonsurgical therapy alone abolishing need of any further surgical periodontal therapy. 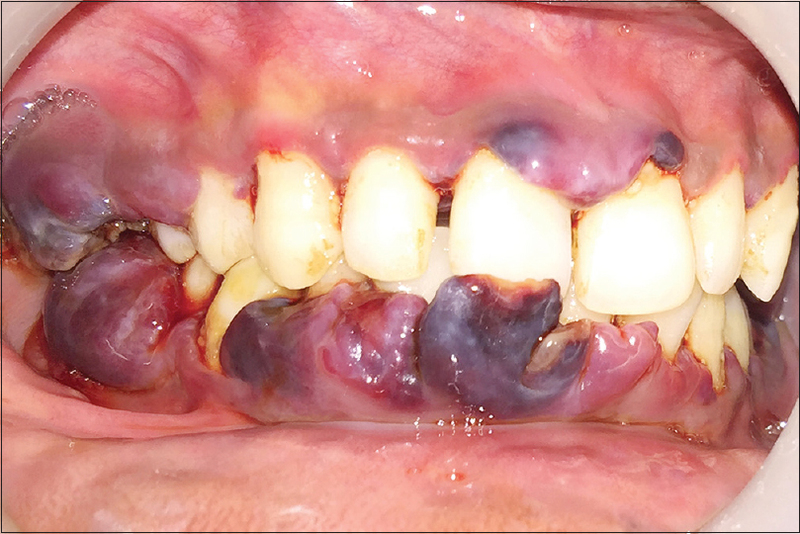 A 19-year-old male patient reported to the Department of Periodontics of Sharad Pawar Dental College and Hospital, with a chief complaint of difficulty in mastication due to generalized swelling of the gingiva for the past 6 months. The patient was apparently asymptomatic 6 months prior when initially he observed a tiny, bright-red nodule in the anterior region of gingiva of the lower jaw that bled profusely on slight provocation. The lesion gradually increased in size and similar lesions started developing in other areas of the jaw, thus causing difficulty in mastication. Detailed medical history, family history, and dental history were taken which were found to be noncontributory to the present clinical condition. Intraoral periodontal examination revealed a generalized gingival enlargement with a greater severity in the lower anteriors and upper and lower right posteriors [Figure 1] and [Figure 2]. 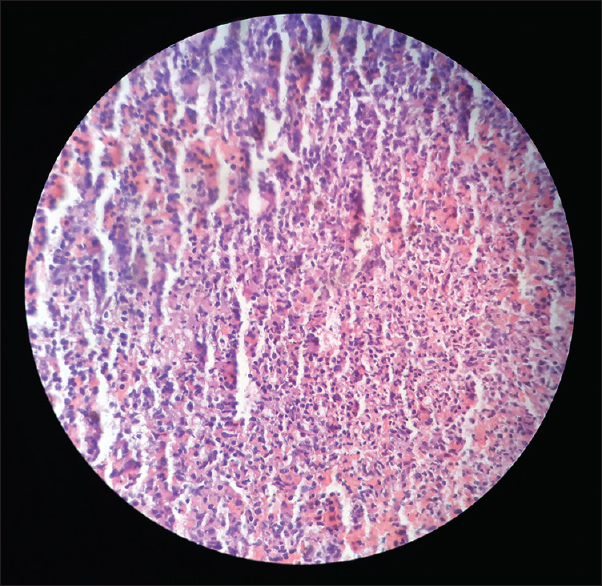 The lesions were bright red, nodular, pedunculated with irregular borders, and appeared extremely vascular. On palpation, the lesions were soft, compressible, nontender, and bled easily on manipulation. The enlargement status was measured by Angelopoulos and Goaz index for measuring vertical component of gingival overgrowth and the score recorded was 3. Periodontal examination revealed generalized 5–8-mm pseudopockets and profuse bleeding on probing. Oral hygiene maintenance was compromised as the patient found it difficult to brush his teeth because of the enlarged gingiva and also bleeding on brushing. This led to deterioration of his oral hygiene and abundance of local deposits. After complete intraoral examination, complete hemogram was advised where all values were found to be in normal range. Panoramic radiograph was also taken which showed normal trabecular pattern of alveolar bone, suggesting no abnormal bony pathology. Based on clinical and radiographic examination as well as blood investigation reports and taking into consideration the extent of involvement and size of lesions, incisional biopsy was performed and histopathological examination was done which confirmed the diagnosis of inflammatory gingival enlargement [Figure 3]. Initially, only supragingival scaling was performed and a soft toothbrush was recommended. Modified bass technique of brushing was taught to the patient and instructed to gently brush the teeth. In addition, chemical plaque control measures were advised in the form of 0.12% chlorhexidine gluconate mouthwash (Rexidine® Indoco Remedies Ltd.), to be used 10 ml twice daily. Warm saline rinses were also advised to reduce the inflammatory quotient, thrice daily. The patient was recalled after a week and subgingival scaling was performed. During this visit, significant reduction in size of the lesion was observed. The patient was recalled at weekly intervals for 1 month, where repeated sessions of scaling were carried out, and plaque control instructions were reinforced. 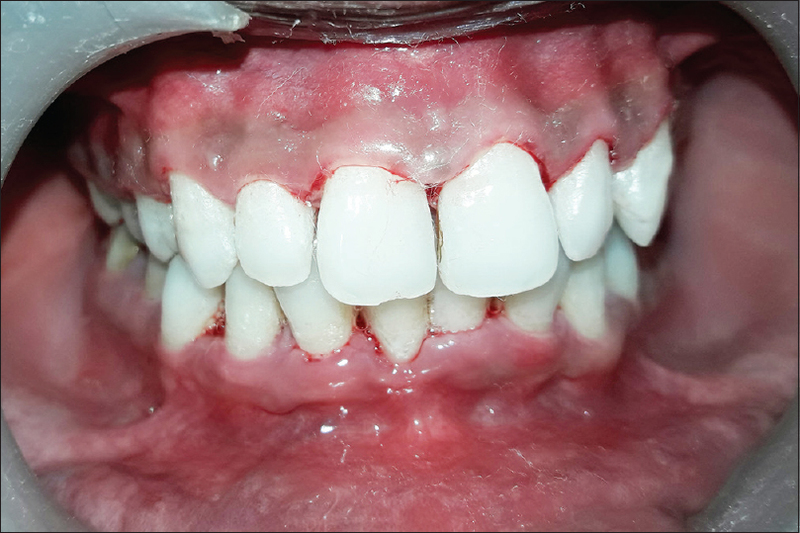 At 1-month follow-up, no retractable gingival tissue was observed and only mild inflammation in the anterior and right posterior regions was seen in both the arches [Figure 4]. Gingival enlargement was recorded with score 1. The patient was advised to maintain a strict oral hygiene protocol since nonmaintenance could lead to recurrence of the lesion. The patient was again recalled at 2 months where the lesions in the maxillary and mandibular arches healed completely with no signs of inflammation or recurrence. The patient's compliance was good as he maintained good oral hygiene. At 3 months of follow-up, healthy gingiva with no signs of recurrence and well-maintained oral hygiene with both the arches was noted. Generalized 2–3 mm probing depth was observed indicating complete healing of the lesion requiring no surgical therapy [Figure 5] and [Figure 6]. The patient was advised regular recall every 2–3 months for the next year. Gingival enlargement is a common clinical finding in day-to-day dental practice. Depending on the etiology and pathogenesis, it can be classified as inflammatory, drug-induced enlargement due to systemic conditions and diseases, gingival tumors, and false enlargement. Depending on these etiologies and pathogeneses, various treatment modalities have been suggested in the literature. For example, if the lesion is composed mainly of fibrous tissue as in drug-induced enlargement, little shrinkage occurs after nonsurgical therapy, hence requiring the need for surgical periodontal therapy as the definitive treatment with stoppage or replacement of the culprit drug. Inflammatory gingival enlargement may present as acute and chronic types. Chronic inflammatory gingival enlargement is usually plaque induced where local response of tissue to irritants, such as calculi, overhanging margin of restorations, foreign bodies, caries, and overextended margins of appliances, may also play a significant role in diagnosis and treatment planning. Treatment of inflammatory gingival enlargement is based on the removal of local irritants and maintenance of oral hygiene. As the irritant is removed, inflammation subsides leading to shrinkage of lesion and vascularity markedly. The decrease in the size of lesion is directly proportional to the amount of inflammation present due to local deposits and irritants. 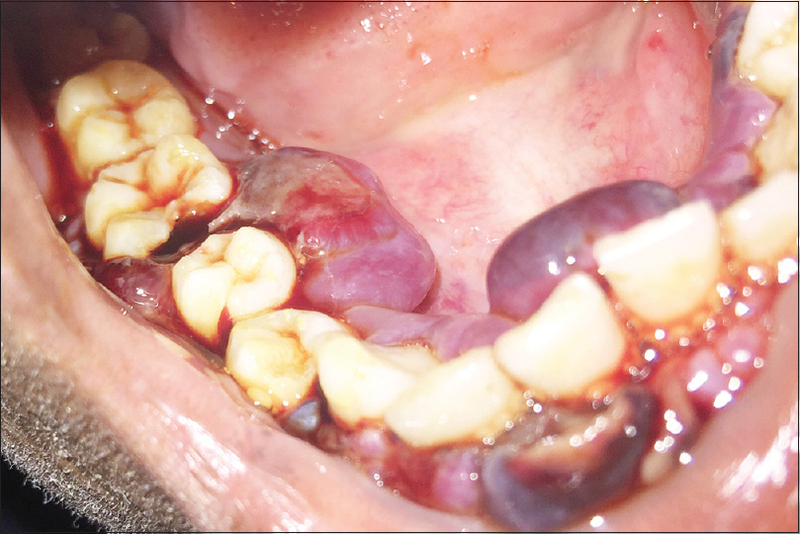 In the present case report, enormous amount of chronic inflammatory gingival enlargement was present causing problems in mastication to the patient as well as profuse bleeding on slight provocation, which was treated by the nonsurgical approach alone. Complete resolution of the inflammation was observed following 3 months of nonsurgical therapy without any surgical intervention. The most important aspect in the success of this nonsurgical approach was excellent patient compliance toward oral hygiene practices, which prevented the relapse of the clinical condition. 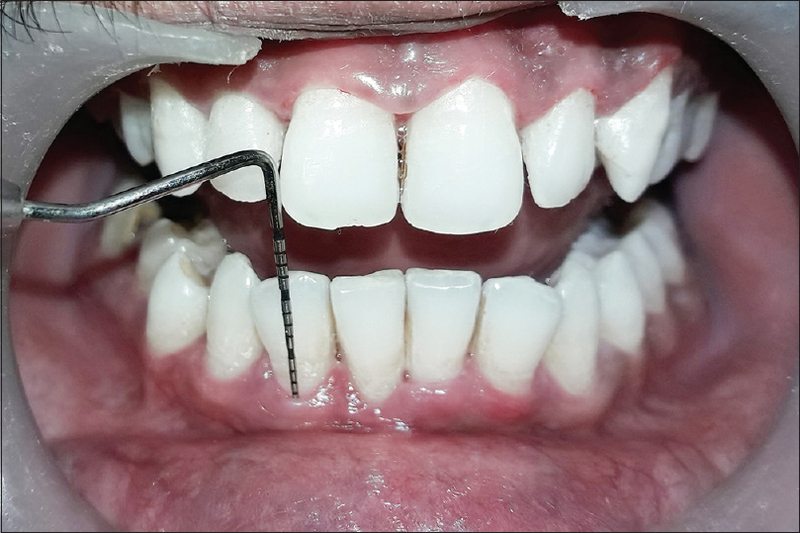 Thus, this case report supports that scaling is still the gold standard treatment modality in the treatment of plaque-induced gingival enlargement. 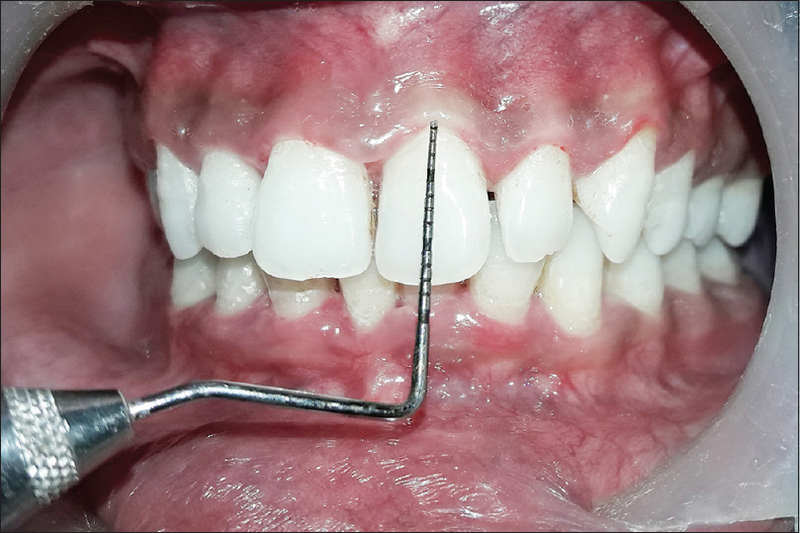 The importance of proper patient education, motivation, and oral hygiene instructions which resulted in excellent compliance of patient regarding oral hygiene maintenance is also highlighted in this case. Trackman PC, Kantarci A. Connective tissue metabolism and gingival overgrowth. Crit Rev Oral Biol Med 2004;15:165-75. Dongari-Bagtzoglou A, Research, science and therapy committee, American Academy of Periodontology. Drug-associated gingival enlargement. J Periodontol 2004;75:1424-31. Carranza FA, Hogan EL. Gingival enlargement. In: Newman MG, Takei HH, Klokkevold PR, Carranza FA, editors. Carranza's Clinical Periodontology. 11th ed. Philadelphia, Penn: W.B. Saunders Company; 2006. p. 373-90. Jadhav T, Bhat KM, Bhat GS, Varghese JM. Chronic inflammatory gingival enlargement associated with orthodontic therapy – A case report. J Dent Hyg 2013;87:19-23. Seymour RA. Effects of medications on the periodontal tissues in health and disease. Periodontol 2000 2006;40:120-9. Nayyar AS, Khan M, Subhas GT, Nataraju B, Vijayalakshmi KR, Raghvendra BM. Gingival enlargement in epileptic patients on phenytoin therapy – An evidence based approach. J Neurol Neurophysiology. doi: 10.4172/2155-9562.1000127. Agrawal N, Agrawal K, Mhaske S. An uncommon presentation of an inflammatory gingival enlargement – Responding to non-surgical periodontal therapy. Int J Dent Hyg 2011;9:303-7. Priddy RW. Inflammatory hyperplasias of the oral mucosa. J Can Dent Assoc 1992;58:311-5, 319-21. Wood NK, Goaz PW. Differential Diagnosis of Oral and Maxillofacial Lesions. 5th ed. St. Louis: Mosby; 1997. p. 130-61.